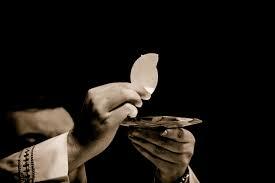 Catholic Mass is the holiest event on earth! Masses are offered daily in the catholic church but do we often stop to reflect on this marvel or have we allowed ourselves to lose sight of the wonder that is God coming down to earth? St. Pio of pietricina used to tremble during mass and even become teary eyed at the Gospel reading. He was a true example of reverence before Jesus in the blessed sacrament and brought us to a higher reflection on mass. Many times what we truly desire is right before our eyes but often disguised in someone or something unexpected! 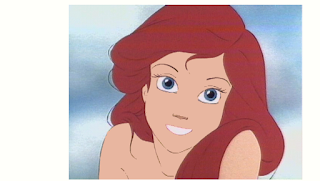 The little mermaid is one of my favorite classic cartoons. (I can relate to it personally in a certain way) There is a scene where the mermaid saves the prince from drowning and sings to him, only to disappear as he recovers conciousness. The memory of her voice intrigues him and he vows to find her and marry her! To cut a long story short, she eventually gives up her voice for the chance to walk on land and when the prince finally finds her , she cannot tell him who she is because she is mute. In one of the scenes, the prince's butler tells him , "Far more than any dream girl is one of flesh and blood, and right before your eyes"